Just when you think Johnny Depp’s world couldn’t get any worse. The actor’s upcoming film, City of Lies, has been yanked from its September 7 release schedule a month before it was due to hit cinemas. The movie distributor, Global Road confirmed the news to Entertainment Weekly but did not comment on further details or announce a new release date. The crime thriller is based on the true story of the police investigation into the murders of rapper Notorious B.I.G aka Biggie Smalls and Tupac Shakur. Had the film been released next month, it would have coincided with Biggie’s 46th birthday. The news comes after the production’s former location manager Gregg “Rocky” Brooks, sued the Pirates of the Caribbean star for alleged assault. Brooks states the A-Lister punched him twice in the ribs and verbally assaulted him on set. 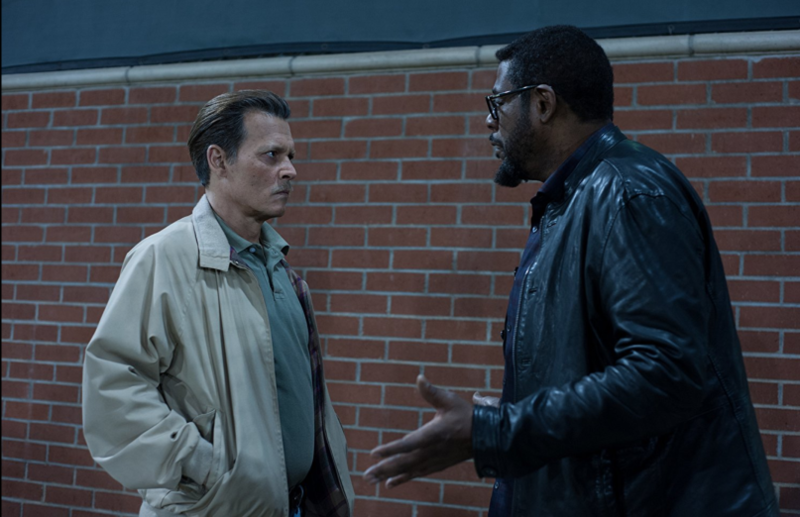 The crew member also claimed that he was fired from City of Lies after refusing to sign a non-disclosure agreement that would have prevented him from suing Depp. Brooks is seeking unspecified damages. The Edward Scissorhands star is also facing a lawsuit from two former bodyguards, who claim Depp didn’t pay them properly and put them in “toxic” situations. Depp’s next movie Fantastic Beasts: The Crimes of Grindelwald comes out in November. What do you think about Johnny Depp’s film pulled from its release? Comment below!